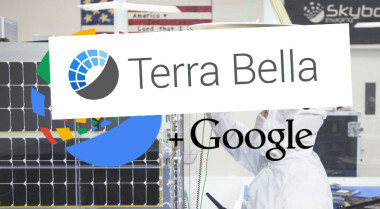 As Planet announced it has completed its acquisition of rival satellite imaging company Terra Bella April 18, it confirmed that Google is now a shareholder in Planet as part of that deal. Commercial remote sensing company Planet announced Feb. 3 it was acquiring rival Terra Bella from Google for an undisclosed sum, bringing together what the companies believe are complementary capabilities to image the Earth from space. Rumors began circulating in December that two leaders in the small satellite Earth imaging field were on the brink of deal, when employees of Alphabet Inc. subsidiary Terra Bella began visiting the offices of San Francisco-based Planet. Although the two companies have not confirmed an agreement, Bloomberg reported Jan. 9 that Planet was in talks to acquire Terra Bella, the Mountain View, California company formerly known as Skybox Imaging. Google acquired what was then known as Skybox Imaging in 2014 for an estimated $500 million but now appears interested in selling the company as it seeks to cut costs. 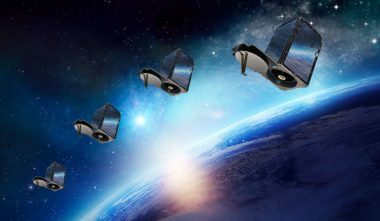 Spaceflight Industries will launch multiple imaging satellites for Google-owned Terra Bella in 2017 as part of a “dedicated rideshare” Falcon 9 mission Spaceflight purchased from SpaceX last year. 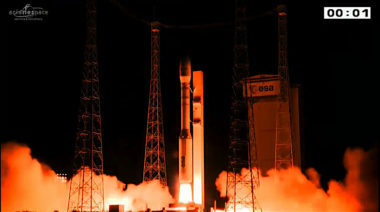 Europe’s Vega small-satellite launcher on Sept. 15 successfully placed five high-resolution optical Earth observation satellites — one for the Peruvian government and four for Google-owned Terra Bella — into low Earth orbit. 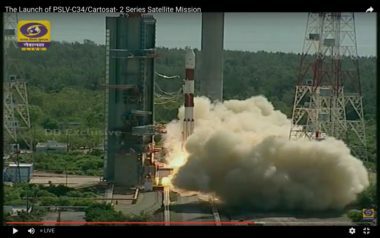 India’s PSLV rocket on June 22 delivered the Indian Cartosat-2C high-resolution optical Earth observation into a 507-kilometer polar low Earth orbit along with 19 smaller satellites including 13 U.S. commercial spacecraft.